2x6 inches! Solid black, premium wax with THREE wicks! 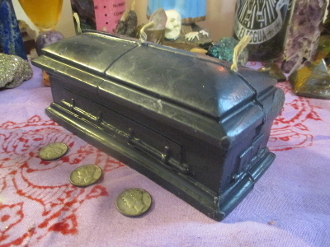 PERFECT for Halloween decor or an ancestral altar. These can even be used for hexing and enemy workings! Inscribe with your target's name, dress with my D.U.M.E oil and let that energy R.I.P. !